Nan Dunn, a long time resident of Lakewood Village, recently sold her home and has moved to Texas to begin a new chapter in her life. 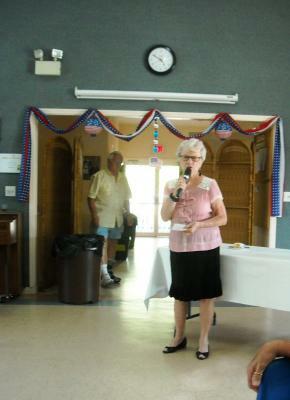 Nan was very active in the Lakewood Village community being involved in many activities. One of her big projects was directing the community choir for many years presenting several concerts each year. Nan will be greatly missed at Lakewood Village. We all wish her a great life at her new Texas home. These photos show Nan and many of her friends gathering to give her a farewell send off.